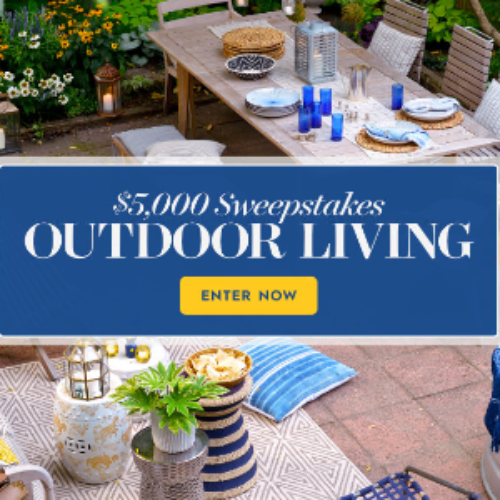 You can enter the $5,000 Outdoor Living Sweepstakes from Better Homes & Gardens for your chance to win a $5,000 check that you can use to purchase Outdoor Living furniture, improve your outdoor living area, or anything else you want to spend it on! Note that you do not have to accept the free email offers, just “un-check” them before you enter. Entry ends April 30, 2019. 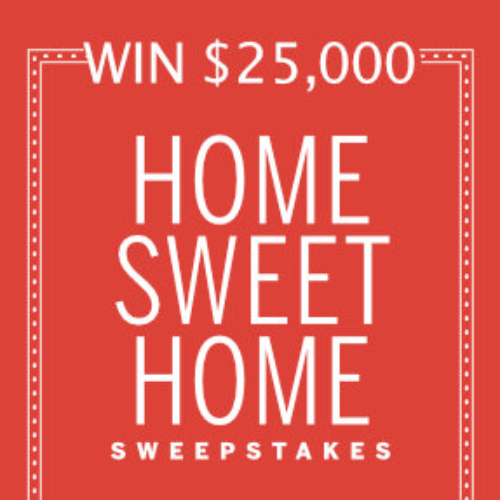 You can enter the Cash Sweepstakes from Woman’s World for your chance to win $1,250 in cash! 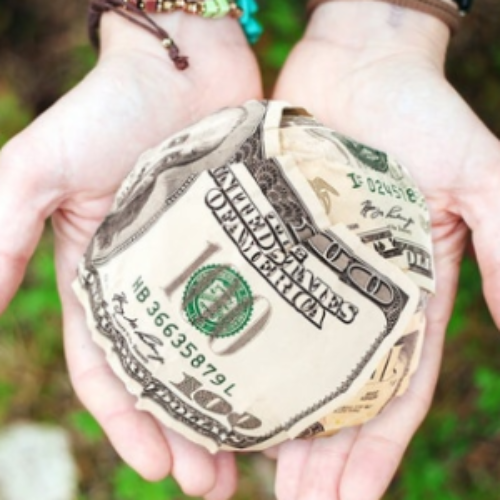 You can use the cash to pay bills, pay off debts, go on a shopping spree, or buy gifts for your friends and family. It’s your cash and your choice how to spend it! Entry ends March 31, 2019. 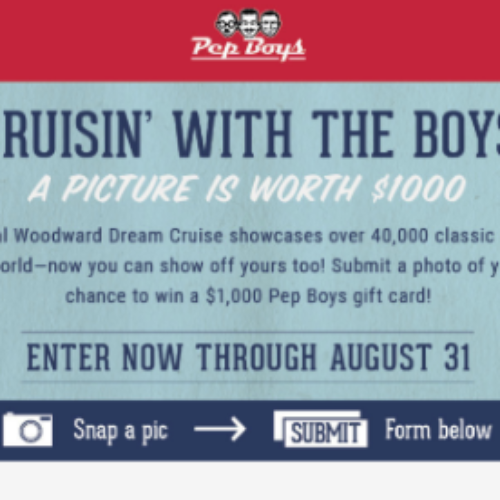 You can enter the Dream Cruise Sweepstakes from Pep Boys for your chance to win a $1,000 Pep Boys gift card to get your car tuned up and in top running shape this summer. To enter you’ll need to submit a picture of your car. Entry ends August 31, 2018. 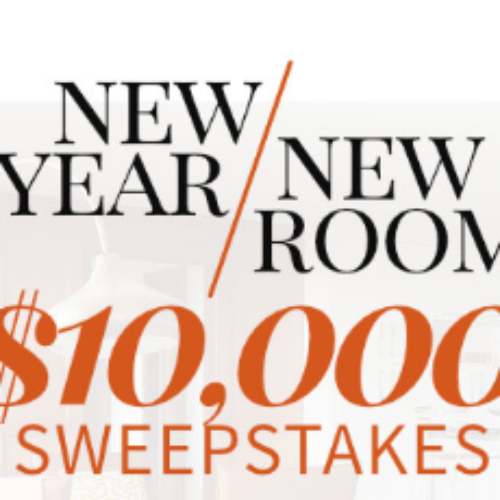 You can enter the New Year New Room Sweepstakes from Better Homes & Gardens for your chance to win a $5,000 check and a $5,000 Overstock.com gift card to use to transform a room of your house into the perfect space. Entry ends March 31, 2018. You can play The Litter Bit Amazing Game from the World’s Best Cat Litter for your chance to win a Fiat 124 Spider Abarth valued at over $30,000 and more than $6,500 in other prizes including cash, travel vouchers and cat litter. Entry ends September 17, 2017. 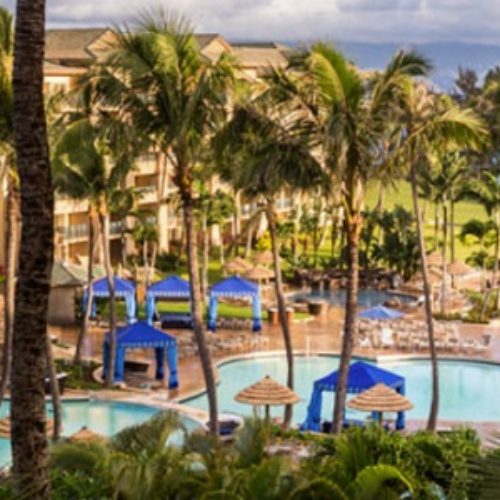 You can enter the Fed Cup Sweepstakes from Hawaii.com for your chance to win a trip for two (2) to Maui to see the Fed Cup that includes a stay at the Ritz-Carlton. Entry ends January 15, 2017. 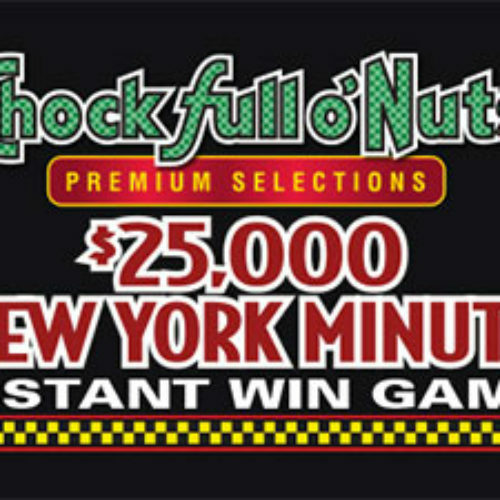 You can enter the $25,000 New York Minute Instant Win Game by Chock Full O’ Nuts for your chance to win one of ten trips to New York City that include airfare, accommodations, $1,000 spending money and $500 towards your choice of events. Plus 50 first prize winners will receive a Chock Full O’ Nuts watch. Entry ends December 31, 2016. 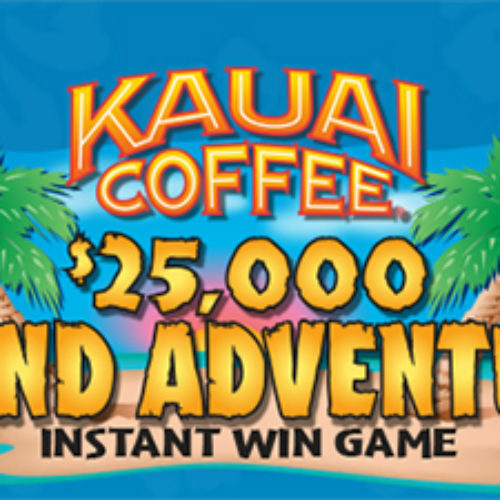 You can enter the “$25,000 Island Adventure” Instant Win Game from Kauai Coffee for your chance to win one of five trips for two to Kauai, Hawaii that include airfare, accommodations and $1,000 spending money. Entry ends December 31, 2016. 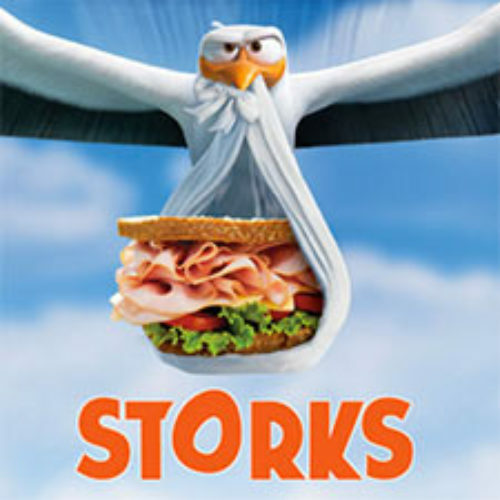 You can enter Storks Instant Win Game from Land O’Frost for your chance to win a trip for four to Hollywood and a Storks Experience Prize Package that includes a VIP tour of Warner Bros. studios, Stork swag, admission to a theme park, airfare, accommodations and more (ARV $9,000). You can get an entry code without purchase by following the instructions in the official rules. Entry ends October 17, 2016.